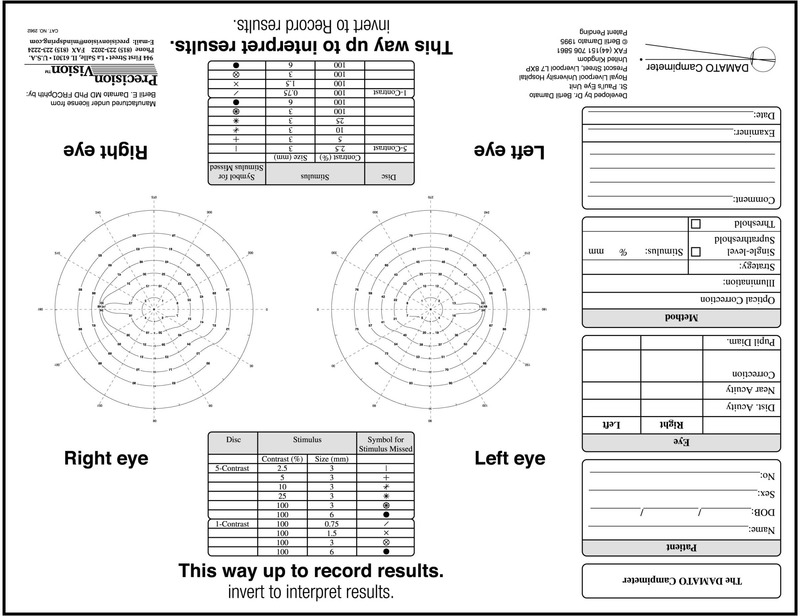 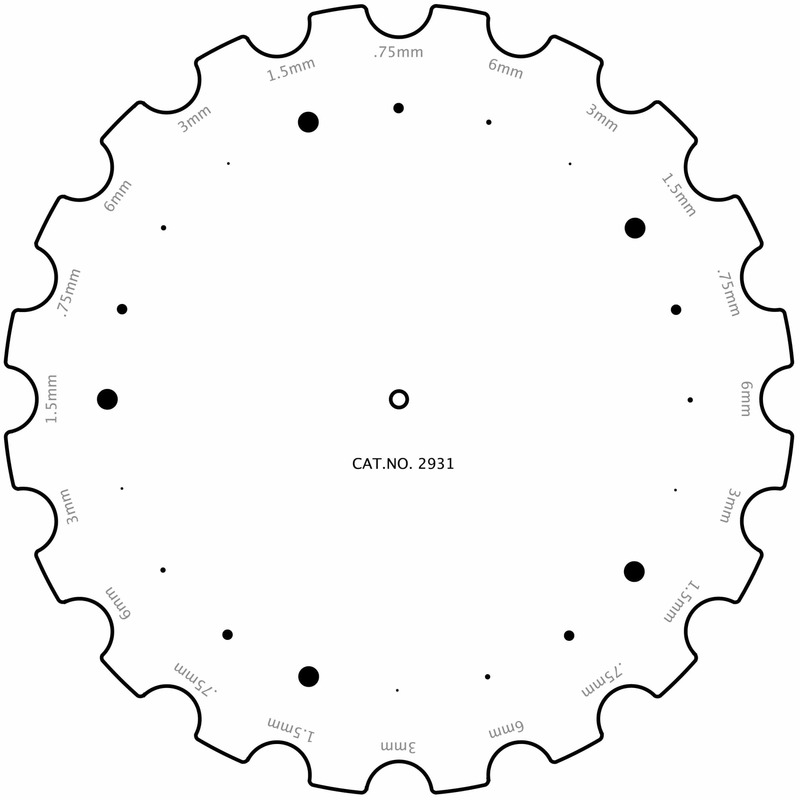 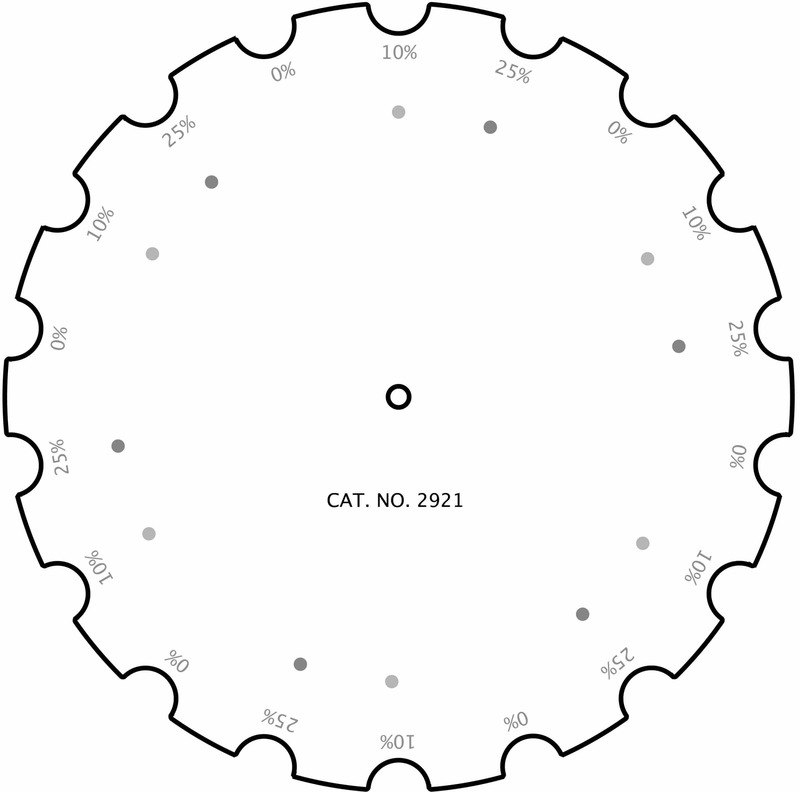 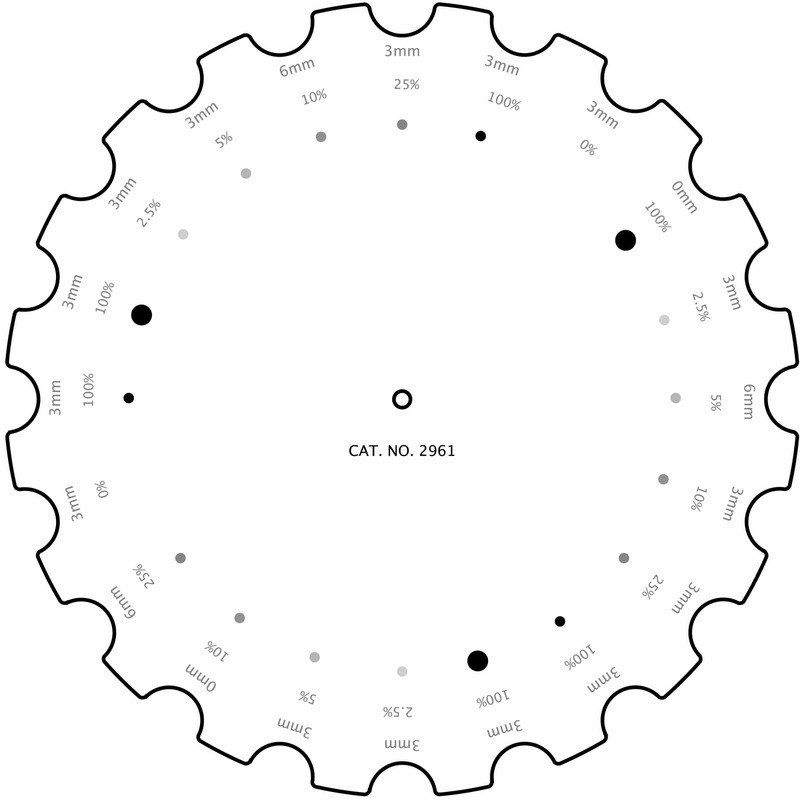 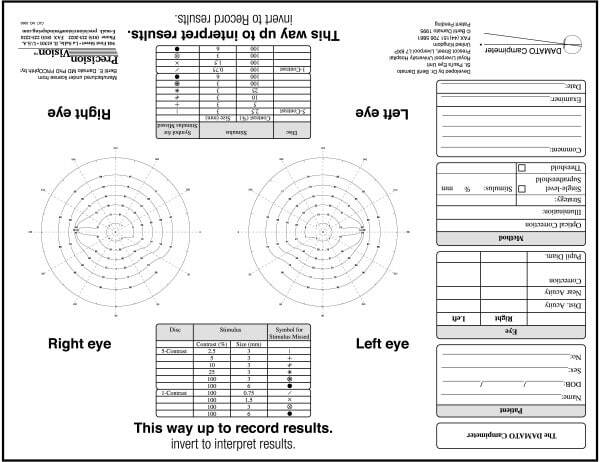 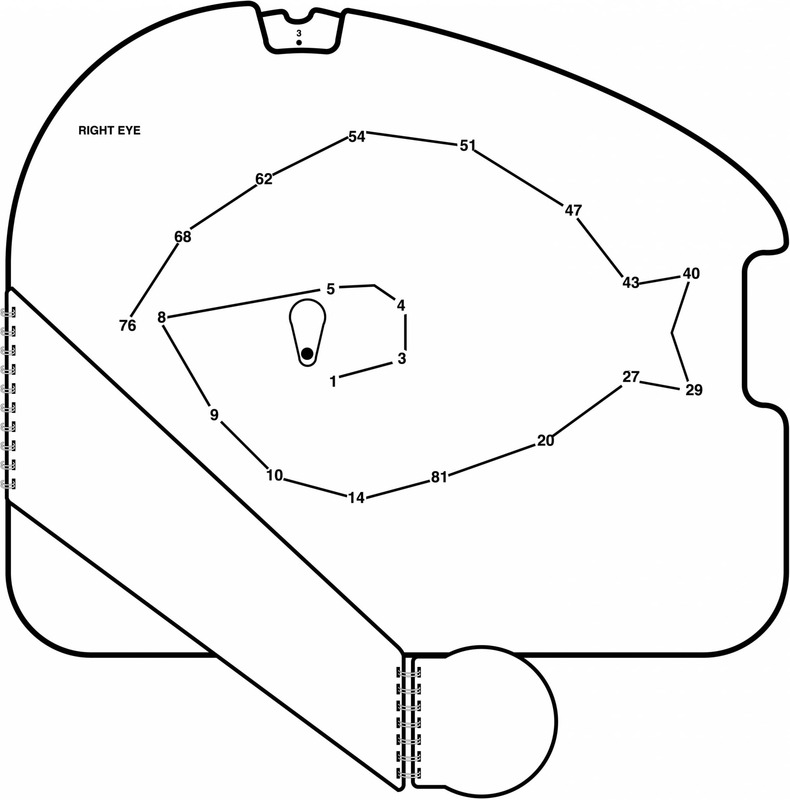 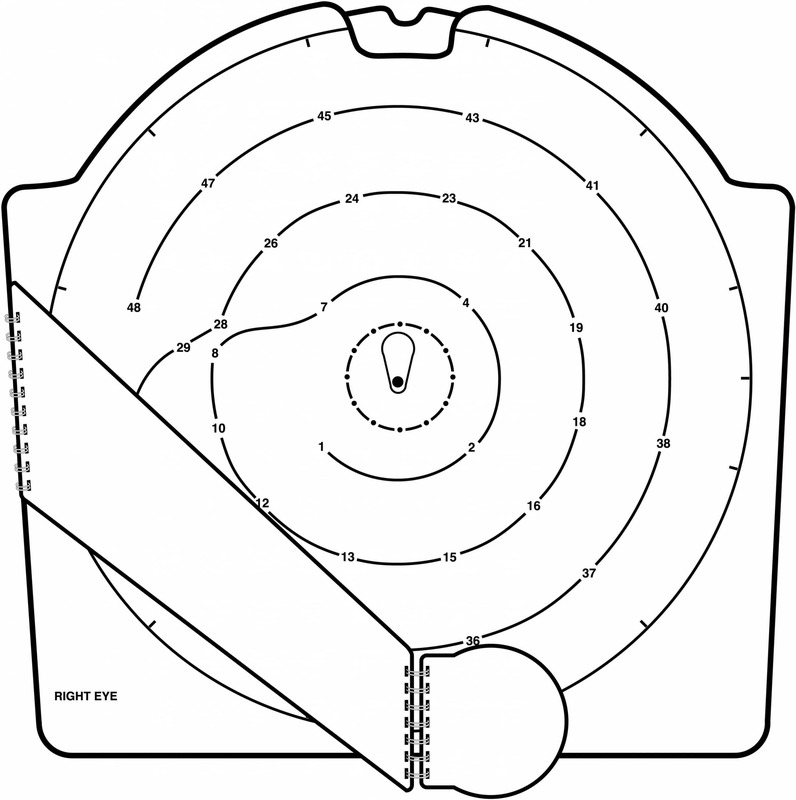 Recording forms include a diagram of the campimeter on the form for easier testing and better interpretation of the results. 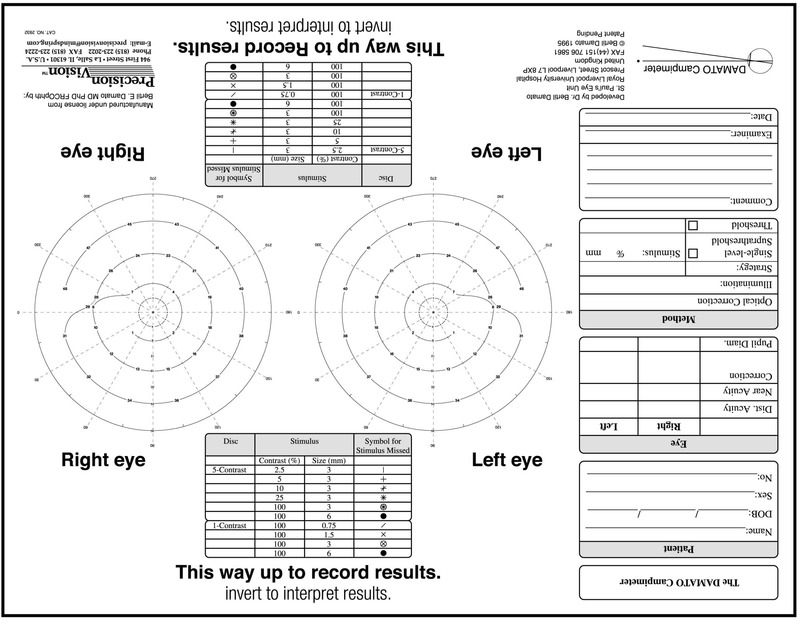 Each miss is marked with a unique and separate mark to lessen confusion during recording. 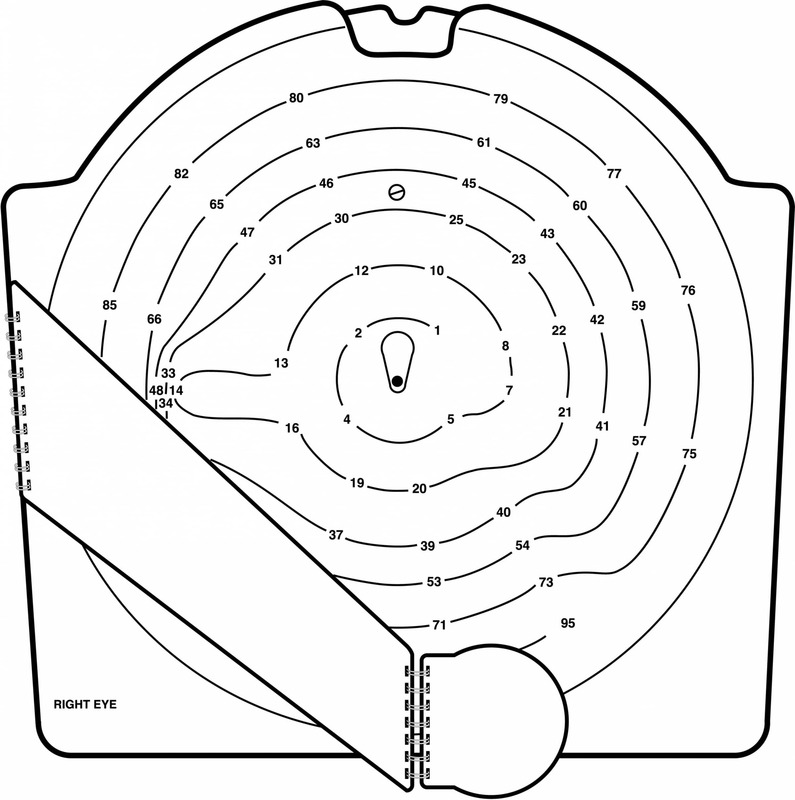 Test also features an area for each contrast level. 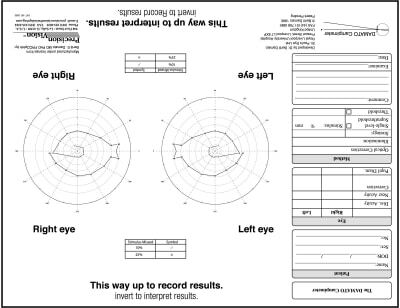 Recording forms are accurate and usable for clinical situations.